Hello all the supporters of the Foundation of Mitai Mitakunai (the Mitai Foundation). My name is Midori Fujitani. I will be working as an intern of the foundation for the next month. I am currently studying at Goucher College in Maryland, the United States. I will be reporting all the activities and my experiences from Paraguay. 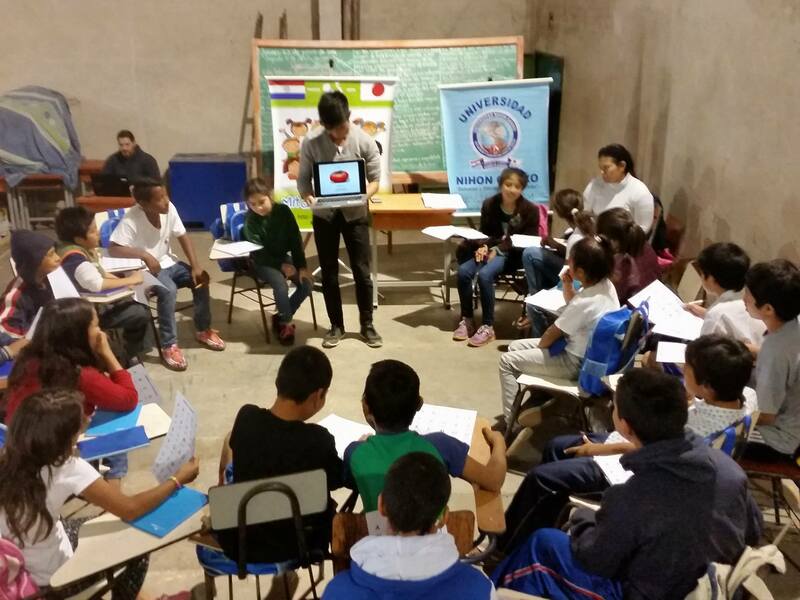 This week, we visited and taught English at two schools: Municipal Maria Auxiliadora (Maria Auxiliadora) and La Escuela Cerro Poty (Cerro Poty). 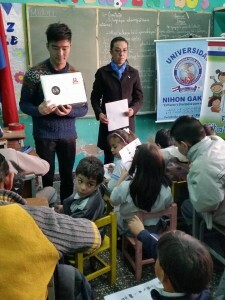 I would like to thank Universidad de Nihon Gakko, a local partner of the Mitai Foundation, for making these visits possible. I am excited to continue working with this great institution for the next month. One of my jobs is to teach English at Maria Auxiliadora and Cerro Poty every week. 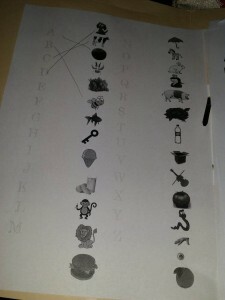 This week, we learned English alphabets. 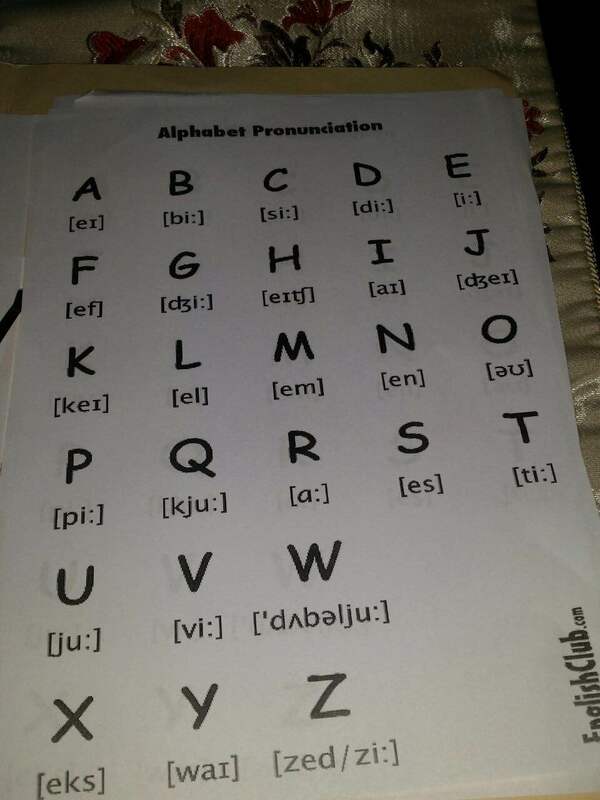 Prior to the lesson, we had prepared two worksheets and PowerPoint slides to introduce the pronunciations of all the alphabets and vocabularies that are associated with the letters. 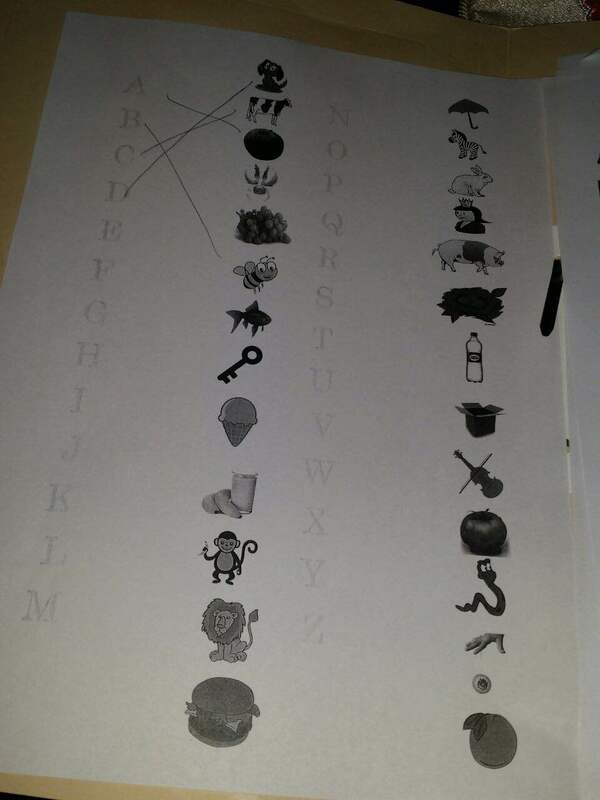 For example, we used Apple as an example of the letter A. 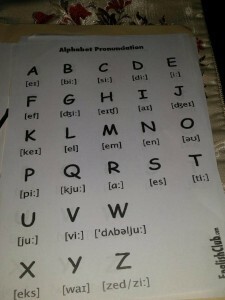 At the beginning of the lesson, students were having trouble pronouncing the alphabets and the vocabularies. However, since Spanish and English share some similarities, students gradually made some progress and were able to say some of the words by the end of the lesson. We will continue teaching English. Next week, we are planning to teach some greetings and more vocabularies that are used in daily conversations. 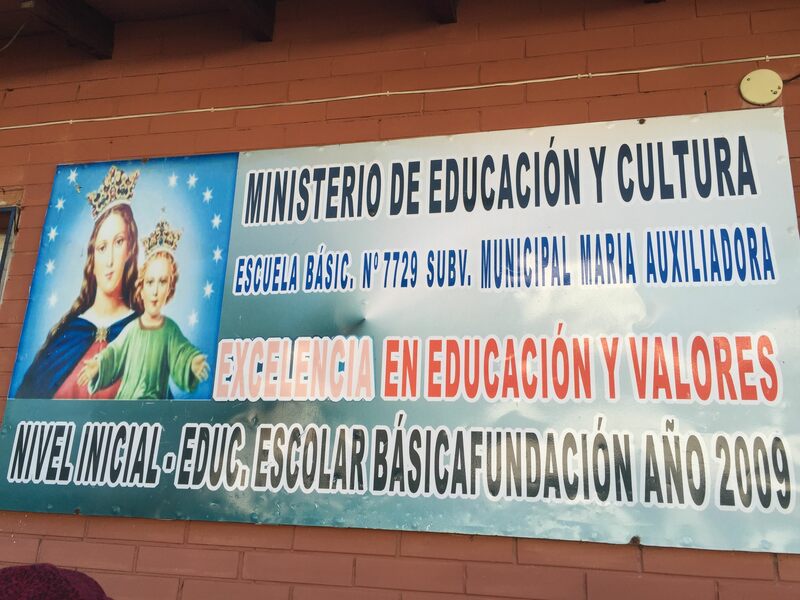 Maria Auxiliadora is a very small school that hosts students from preschool to sixth grade. It seemed as though a small house was rebuilt as a school. There were three classrooms in total. Each classroom was very small that can barely accommodate 9 to 10 students. As you might have guessed, there are not enough classrooms for every grade. At Maria Auxiliadora, each class was multi-grade, meaning that students of different ages/grades study in the same classroom. For instance, students of fifth and sixth grades were studying in the same classroom. Also each classroom had only one teacher. 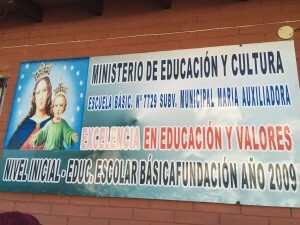 Cerro Poty is a school located in Cateura district. This area is one of the poorest slums in South America. Cerro Poty had a big building that has four classes. However, the school did not have rooms to provide an independent classroom for each grade. As a result, each classroom was located next to each other. Due to the structure of the building, students’ voices were echoing loudly and being distracting for students. Cerro Poty also had multi-grade classrooms. 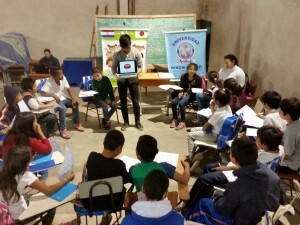 The range of students’ ages was even wider in Cerro Poty than Maria Auxiliadora. 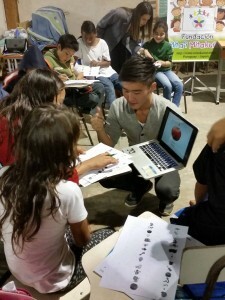 For example, we taught English to the fourth grade. The youngest students in the class were ten years old, while the oldest were fifteen years old. After the lesson, we had an opportunity to have a talk with the principal of Cerro Poty, Mario Gomzalez. He told us that many students are from families of either single mother or single father. He also said that some parents abuse their children and have drug/alcohol addictions. We did not get to visit other parts of Cateura and see some households during this visit. We will continue our research in this area.